It's a damn petting zoo out there. Week six of Fortnite's eighth season is already here, and it brings a whole new set of challenges with it. This week's set features a few of everyone's favorite kind of challenge—the easy kind—where you simply need to find a few hidden items. This week you'll need to visit a wooden rabbit, a stone pig, and a metal llama. Don't feed them, though. The llama, as it has been for a while, is on the hill just north of Junk Junction. But the stone pig and wooden rabbit are new for this season. 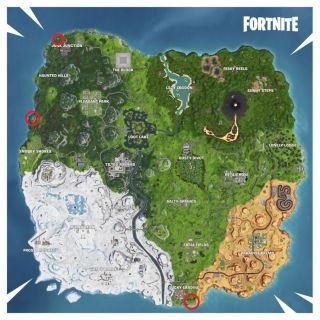 The pig can be found near the edge of the map, southeast of Lucky Landing, and the rabbit is also near the edge of the map, just north of Snobby Shores.